Dementia and Alzheimer’s are two health conditions that have many of the same symptoms, but there are also significant differences. Seniors and their family caregivers need to understand those differences. Learning more about the conditions can help seniors stave them off and live a higher quality of life. Take a look at some of the key differences between dementia and Alzheimer’s disease. Dementia is a syndrome, and Alzheimer’s is a disease. Seniors can develop multiple types of dementia. This is known as mixed dementia, but it cannot be diagnosed until a person is deceased. There are a variety of health conditions that cause dementia, including Parkinson’s and Huntington’s disease. Most seniors with dementia also have Alzheimer’s. Dementia is one of the many health conditions that can impact a senior’s overall health. If your elderly loved one is living with a serious medical condition and needs help managing the tasks of daily living, reach out to Home Care Assistance, a Huntsville home care agency you can trust. Our caregivers are available 24/7, there are no hidden fees in our contracts, and we offer a 100% satisfaction guarantee on all of our in-home care services. Seniors with dementia experience a variety of symptoms that affect their mental and cognitive skills, including memory and reasoning. Alzheimer’s is a progressive disease, which can affect memory and cognitive function. Seniors living with dementia tend to have difficulty remembering simple things or performing daily tasks, and it also becomes challenging to communicate. 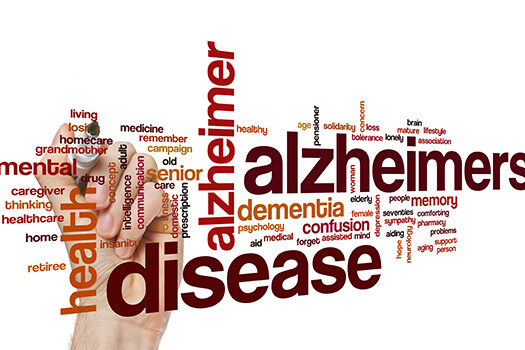 If a senior has Alzheimer’s, his or her memories, thoughts, and language will likely worsen as the disease progresses. Keep in mind dementia isn’t just about simple memory mishaps. Seniors living with this health condition also have a difficult time focusing and making sound decisions. Another difference is visual perception. With dementia, seniors see things that are not there and have difficulty detecting movement. Performing daily tasks while simultaneously managing the symptoms of a serious illness can be challenging for seniors. The Huntsville live-in care experts at Home Care Assistance are available 24/7 to make sure your loved one has the care he or she needs to remain safe and comfortable while aging in place. Although most symptoms of dementia and Alzheimer’s overlap, there are still some differences. Seniors with dementia can lose track of time or lose their way in familiar settings. An aging adult who has developed Alzheimer’s may have difficulty remembering recent conversations or events. Both conditions affect the way seniors communicate with others and lead to a decrease in the ability to think. However, in the advanced stages of Alzheimer’s disease, it may also be difficult for seniors to swallow and walk. Dementia is not reversible, but in some cases the syndrome can be treated. With Alzheimer’s, the symptoms can be managed. The cause of dementia determines the type of treatment seniors receive. For example, when Alzheimer’s disease causes dementia, doctors generally treat the syndrome with cholinesterase inhibitors. Dementia treatment focuses on preventing further damage to the blood vessels in the brain. With Alzheimer’s, treatment is necessary to boost brain function, reduce the risk of depression, slow memory loss, and alleviate many behavioral changes. Caring for a loved one with dementia, Alzheimer’s, or other mental health condition can be challenging for family members. Families who need help caring for a senior loved one can turn to Home Care Assistance, a leading provider of Huntsville, AL, in-home care. Services available in our customizable care plans include meal prep, mental and social stimulation, assistance with personal hygiene tasks, and much more. To learn about our revolutionary home care methods, give us a call at (256) 716-9940 today. Why Do Seniors with Anxiety Have a Higher Risk of Developing Dementia?